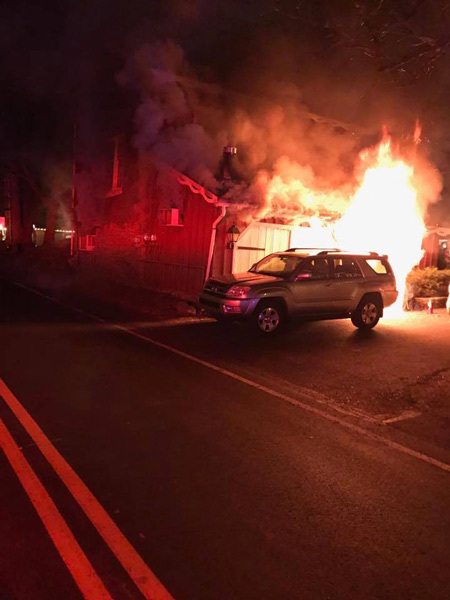 BUCKINGHAM TWP., Pa. (WPVI) -- Firefighters battled a fire at a Peddler's Village business in Bucks County. 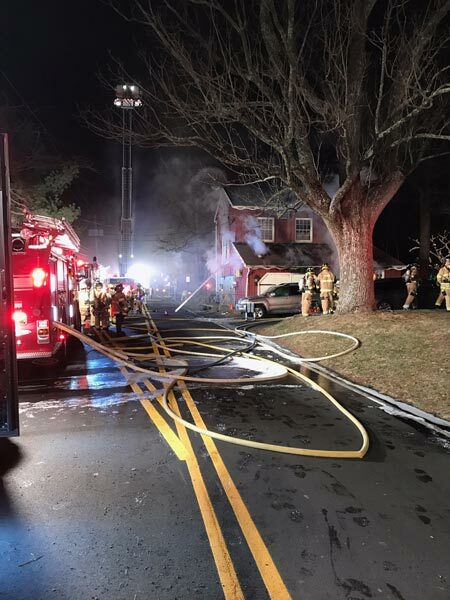 Firefighters were called to the Buckingham Township shopping district shortly before 6:30 p.m. Tuesday. 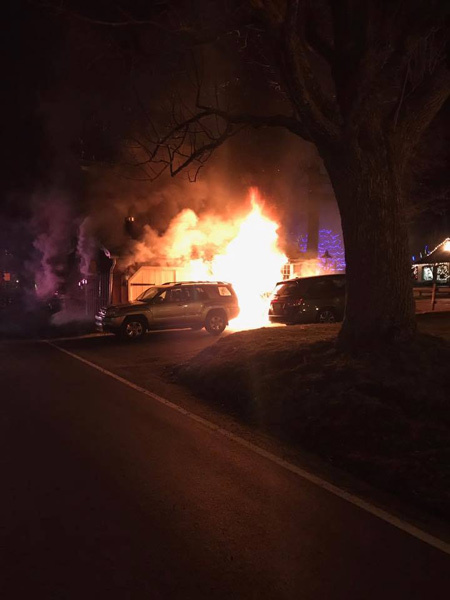 Arriving crews found The Nut Kettle store fully engulfed with flames. 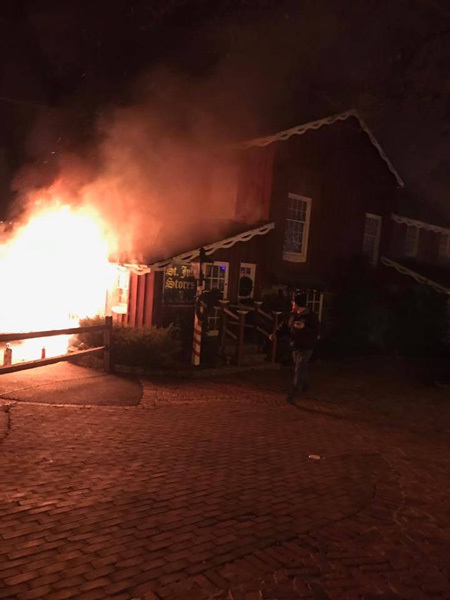 The fire was placed under control around 7 p.m.
"Peddler's Village is currently open for business with regular hours Tuesday evening, despite the small fire that broke out earlier in one building that houses Shops #63, Nut Kettle, and #64, St Jude's. There were no injuries and the fire has been contained. The other businesses in the Village are not affected," a statement read on Peddler's Village website.